What if someone told you that you could make an investment that elevated your company profile, increased employee motivation and inspired a positive change in your community? Through corporate giving and nonprofit partnerships, it’s all within reach. Teaming up with a nonprofit organization increases brand awareness and enhances brand image. People like to see other people doing nice things, and giving back is a good look in the business world. 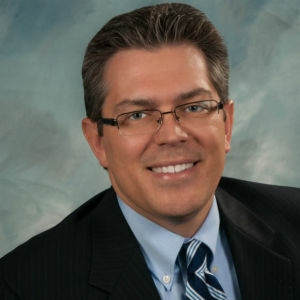 Glen Newhart, executive director of the Tri-City Hospital Foundation. But there is more that you can do to benefit from your nonprofit partnership. Leverage your participation for social media videos and photos, blog content, website accolades, Facebook exposure and more. Everybody wins when you include the beneficiary in your mentions — they need to get the word out about their cause and tend to their public image, too. A well-placed link on a prominent company’s website, or a social media mention on a widely followed account, can make a world of difference to a philanthropic organization and its efforts. It’s a full-circle marketing push for a great cause. It’s no surprise that employees who feel better about themselves, their health and their companies in general will create a better work product as a result. Conducting an employee-run donation drive. Encouraging employees to brainstorm creative ways of getting involved. What causes are important to them? How do they feel their skills are best used to benefit the community? Organizing a volunteer outing, whether for special events throughout the year or on a weekly or monthly basis. Developing a social media campaign that spreads the word about your organization and a cause close to your heart. Take a note from initiatives like #GivingTuesday, which benefits registered charities but welcomes all sorts of participation. With a few small steps, companies can make a huge impact — both in the lives of others and their own success — through charitable giving. With a new year upon us, there’s no time like the present to start a fresh tradition. Get out there and give! Glen Newhart, a certified fundraising executive, brings more than 20 years of experience to his role as Tri-City Hospital Foundation’s executive director. Newhart has been honored with a number of prestigious professional recognitions and accolades, including being named one of the Association of Fundraising Professionals’ “Outstanding Fundraising Professional” award winners.